This homeowner was referred to us by one of our many commercial customers. He was interested in protecting his home and family during power outages. We designed this system around a 12kw generator that will run on propane. The home already had a single 120-gallon LP tank for the gas dryer and cooktop so he added another to support the addition of the generator. 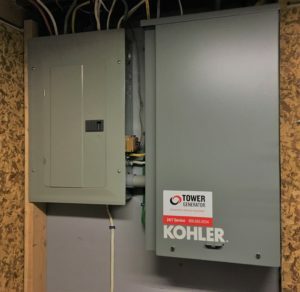 Western Massachusetts has their fair share of outages but this home will remain comfortable throughout any future outages as the generator will take over in a matter of seconds.